North Korea gets away with everything. Were I to mention the town of Geelong to my American friends, I would guess that no one had ever heard of the place. It lies some 40 to 50 miles southwest of Melbourne, the capital city of the state of Victoria in Australia. Its inhabitants are fiercely parochial and for many years the main industry was the Ford Motor Company. Nevertheless, the inhabitants of this miserable town appeared to believe it was the center of the earth. When my brother first visited Geelong, I insisted he look for the large pole in the middle of a traffic roundabout on the Melbourne side of Geelong and he would find that etched deeply into this ancient monument would be the words: "The world revolves around this point." Unfortunately he went looking for it and the rest is history. This was clearly a case of a jerkwater town with a population at the time of around 30,000 people regarding a nearby city with a population of 1.3 million as an outer suburb but maintaining a superiority complex. So what has that to do with North Korea? At face value, precisely nothing. But there is a moral to the tale: the natives felt threatened from without and feared amalgamation with the big city. Since the 1953 armistice in Korea, which I remember fairly clearly, North Korea has done nothing of any note to turn the armistice into a state of permanent peace. As a result, under international law, the May 28 statement by Pyongyang that it regarded the armistice as inoperative means in effect that a state of war legally exists between North and South Korea, as well as with the US and its allies that fought under the UN flag for three years from 1950. It is generally recognized that division of the Korean Peninsula left the North with very little arable land; the South gained the best, certainly enough to produce rice for export. The Korean War was particularly brutal and the soils of the North were enriched and fertilized by the blood of Korean and foreigner alike, but not sufficiently as to make up the difference. North Korea would be a poor nation even under the best government; instead it suffers under one of the worst. I have been assured by friends who have visited North Korea that it is a grimly Stalinist state, except that it resembles in some respects a feudal monarchy. The post-war leader of North Korea, Kim II-Sung, was a small-time tinpot communist installed by Josef Stalin. An elaborate story was concocted to show that he was a heroic war leader against the Japanese but it has been pretty well established that he sat out the war in the USSR. Once in power, he refused to participate in UN mandated and supervised elections (1948) and the occupied country was divided into two: needless to say, Pyongyang and Seoul both claimed sovereignty over the peninsula. Sufficient evidence has emerged from Soviet archives to suggest that Stalin urged Kim II-Sung to attempt reunification by invading the South. Notwithstanding its name, the DMZ is heavily militarized and has seen killing, usually of Southerners and Americans. Defecting North Koreans relate tales of underground bunkers, factories and tunnels under the DMZ, complete with railroads, which would be used in the event of war. I am not privy to US defense policy but I was told, paradoxically, by a former Soviet army officer that the idea of the blitzkrieg through to the English Channel, which once formed the basis of Soviet first strike war fighting, had been replaced by an extensive belt of nuclear mines across the German border and other countries. I can't be sure whether it's true but certainly, this ex-Soviet Colonel believed it to be the case and so did the Soviet High Command. My friendly Colonel said he expected that by contrast, sowing similar mines just south of the DMZ would be very easy and cause the madman in Pyongyang and his military henchmen to pause for thought. The South Korean side of the DMZ is known and acknowledged to be the most heavily mined terrain in the world, and was a major cause of the US's rejection of anti-landmine treaties; one can only wonder what horrors are hidden there. Fast-forward some 30 years since that conversation and very little seems to have changed on the 38th parallel. Here we have a minuscule state of some 23 million people in effect stating that it is on a war footing and prepared to confront the US. This is something less than a mouse attacking an elephant, but there has been something seriously wrong in US relations with North Korea for many years. When the odious performer and probable megalomaniac Kim II-Sung passed on to the communist heaven to join such notables as Stalin, Mao Zedong, and Ho Chi Minh, he was succeeded by his son, the rather curious Kim Jong-Il, a baby faced megalomaniac with peculiar tastes in foreign foods and women. The irony of the whole situation is just why the West has even bothered with North Korea. True, it has large standing army forces but the majority of its 23 million people live in abject poverty and near starvation. Because of various sanctions, Kim the elder introduced a policy of self-reliance, known as Juche, in 1972. The country was still dependent on food imports mainly from China and the Soviet bloc, and other regimes with few scruples. But the traveler's tales of peasants eating tree bark and grass persisted. It was soon realized that charitable donations of food, along with legitimate imports, went firstly to the ruling family and the Armed Forces. Even the most stupid dictator realizes that a badly underfed army is a constant threat; Robert Mugabe in Zimbabwe may not be able to make anything else work but his army does eat. I confess to being among those completely baffled by the policies of successive US governments in trying to reach an accommodation with North Korea. It sounds to me as though the State Department softies have had far too much influence in American dealings with the tinpot tyrant. There is absolutely no doubt that the acquisition of nuclear weapons and missile technology has had a great deal to do with unsuccessful attempts to come to terms with Pyongyang. The world does not need any more nuclear powers (although I favor Australians having a nuclear capability but for entirely different reasons) and what it certainly does not need is a crisis in the middle of what appears to be a change in leadership. Kim Jong-Il's life of debauchery has caught up with him, as photograph show, and intelligence coverage of North Korea is so poor that Western governments do not know what will happen after this buffoon becomes increasingly ill or dies. The history of the world is littered with well-armed madman trying to make a profound exit. As for the succession question, that can be left for later. How did we get to this situation where an impoverished, bankrupt, starving country ruled by an incompetent autocrat was allowed to develop nuclear weapons and delivery systems? Part of the explanation lies in the Cold War when North Korea was regarded as a bulwark of communism and the evil capitalist South could not be allowed to seem more prosperous or more developed; the great powers on the Red side felt it worthwhile to prop up their puppet kingdom. In exchange, with the strong US military presence guarding the peace and regular visits by carrier groups together with military exercises, the embattled and slightly crazed leadership of the Democratic People's Republic of (North) Korea preached nonstop 24 hour hostility towards the US and its allies. For decades, US foreign policy towards the DPRK has been somewhat Quixotic and a version of carrot and stick (going easy on the latter). I do not pretend to be an expert on the politics of the area but in my circle of acquaintances, which includes intelligence officers, there is a similar attitude: confusion. The one genuine expert, fluent in both Chinese and Japanese with grounding in Korean, believes that North Korean attitudes and behavior are posturing and nothing will come of the current action. Given the harsh internal politics of North Korea; its ubiquitous and ruthless secret police; no discernible opposition and a dangerously impoverished population, I think the succession issue is a nonstarter. I am prepared to risk humiliation and disagree profoundly - North Korea has more grandiose ideas and should be restrained. For years, the US and allies have done their best to stop North Korea "going nuclear" and to what effect? A rhetorical question deserves a blunt answer - none. While we have given them assistance with light water reactors for power generation, they have steadfastly followed the path of seeking the technology to produce nuclear weapons. The results so far, at least those in the public arena, indicate that they have workable nuclear warheads but comparatively small. Apparently North Korea has about 8000 spent fuel rods, which if reprocessed into plutonium would make one bomb basically along the lines of "Fat Boy" - the atomic weapon used by the US on Nagasaki - but some reports say they have enough plutonium for another six weapons but are having problems in miniaturization. A nuke is a nuke and nothing can be taken away from the design: it works. The delivery system is another matter and I will digress briefly. At the height of the Cold War, the more morbid members of my mixed marching company sat around with maps and a simple compass or divider. To the best of our ability, we located where the nearest Warsaw Pact missile bases were and drew concentric circles from them based on what we knew of the range of the missiles in the armory of the USSR and its allies. I suggest to you that five minutes with a map is time well spent today, although according to press reports, the smart boys have been using Google Earth to locate North Korean launch facilities. That brings us back to the range of their existing weapons systems. For a number of weeks we have been told that shorter range missiles have "splashed down" in the Sea of Japan, which no doubt is regarded by the Koreans as the Korean sea. When you realize that some have traversed Japanese territory, the concern of the Japanese as well as the South Koreans can be understood. Furthermore, it is well-known in intelligence circles that when George W. Bush declared that North Korea was part of the "axis of evil," he wasn't exactly joking: he knew that North Korea was part of a funnel of nuclear warhead technology not only interchanged with Pakistan but also forwarded to such democratic friends of the US as Iran, Syria, possibly Venezuela, and other tinpot regimes. North Korean tests of warheads are reportedly small and not always particularly efficient or effective but a dirty warhead atop a missile is just as dangerous as a nuclear warhead. I have no doubt that Bill Clinton's administration meant well when they tried to provide food to the North Korean people. However, it is one of my golden rules that to say a person meant well is just slightly worse than saying it seemed like a good idea at the time. For, as I mentioned above, the food went to the Korean ruling hierarchy and the Armed Forces. In return, we got very little despite propaganda to the contrary. In a way, there is a measure of justice in seeing Ms. Clinton as President Obama's Secretary of State with the hot potato in her hand. North Korean delivery systems have been based on old Soviet and Chinese-modified technology. The short range (basically Scud) missiles are reliable but have no great range: enough to menace South Korea and Japan. However, in the case of South Korea, the capital Seoul remains within artillery distance of North Korea and is but a 20 minute drive by tank. The disturbing factor of the past few days is the belligerent rhetoric/propaganda emanating from North Korea: the public disavowal of the armistice agreement which means we are technically at war; threats to South Korea, Japan and even the US; and news on June 1, that intelligence reports had been received to the effect that an intercontinental range ballistic missile was being delivered to a launch pad. This missile is believed to be basically untested but could reach Alaska and possibly into the US north-western seaboard. I wonder how the Seattle Examiner and similar papers feel about that proposition. The missile is said to be a modified Taepodong-2 and will be launch-ready in two weeks. As far as I can discover this type of missile has not been tested as yet. In fact, most North Korean missile tests appear to deliver less than they threaten. However much comfort may be drawn from failure, one thing is certain - unless something is done, sooner or later, they will get it right and it could be exported elsewhere. So far we have had the magnificent gesture of the United Nations condemning North Korean action in carrying out the most recent nuclear test and abrogating the armistice. Even China and Russia, North Korea's traditional backers, while urging caution, appear to be more than undecided about what steps to take. Beyond suggesting a return to disarmament talks and to respect UN resolutions, the Russians have been coy. The Chinese apparently gratified Ms. Clinton for their condemnation of violating UN resolutions but Chinese diplomacy is extremely complicated and no one knows exactly what they will do. For both former communist powers, this irrational state has become something of an embarrassment and at the time of writing it appears that no one is quite sure how to resolve the impasse. As for the International Crisis Group becoming involved, that is a complete waste of effort because I know several of its members. Diplomats sitting around on their collective duffs at the UN working out censure measures and other actions only give North Korea more time. And time is the last thing that needs to be given to them. That leaves the US - hardly new - in terms of facing world crises. For all the talking that has gone on, diplomacy doesn't work and US reaction will surely be a test of the resolve of President Obama just as predicted by Vice-President Biden. John Bolton, a former US Undersecretary of State for Arms Control and International Security Affairs and former Ambassador to the UN was recently interviewed by Nathan Gardels of the Los Angeles Times. Mr. Bolton stated that the Obama administration wanted North Korea to return to the six party talks (that involve South Korea, Japan, China, Russia, North Korea and the US) but it would appear that North Korea is not willing. As far as the Security Council of the UN is concerned, Mr. Bolton believes that the six party talks are at a dead end and the SC is "not exactly acting like a fire brigade." No doubt some people will disagree with Mr. Bolton and also blame me for taking his words very seriously. I don't care that he is regarded as a neocon: he knows what he's talking about, having had extensive experience with North Korea. He feels that the North Koreans have no intention of negotiating away their nuclear capability and "all they do is keep processing, testing and firing missiles while everyone else talks." He could have added that this is intolerable, as did Christopher Hitchens, who wants us to call North Korea's bluff and dare them to invade, at potentially frightful cost, because the cost down the line will be even more frightful. John Bolton's main suggestion is that North Korea should be put back on the list of state sponsors of terrorism. He welcomes the fact that the South Koreans have now joined the Proliferation Security Initiative (PSI) whose brief is to interdict imports or exports related to weapons of mass destruction leaving or arriving in North Korea. In practical terms, that puts South Korea directly in the firing line, especially at sea. Left unchecked, the situation could conceivably encourage the Japanese to develop their missile or even nuclear-weapons technology further and a breakout of its post-World War II defensive posture, which is not really in anyone's interest. There is every reason for them to start work on their own nuclear program despite deep reservations expected of the only country that has ever suffered from a nuclear attack. If the Japanese follow this course of action, South Korea and Taiwan will not be far behind. Mr. Bolton accepts that the Japanese are worried and hopes that the Chinese will bring the North Koreans to heel. That appears somewhat unlikely to me. However, as he noted, the Iranians will be watching very carefully any actions taken by the US or the UN and if the North Koreans can get away with having a nuclear arms program, then so can they. The whole situation reeks of instability and quite possibly a vacuum. As we know, nature abhors a vacuum and something drastic is likely to occur sooner rather than later. A short sharp surgical strike on North Korea's nuclear facilities, including production and testing locations would require an additional dangerous step, namely the decapitation of what remains of Kim II-Jong's high command. The problem is that if the US sits around and waits for approval from China, Russia or the rest the world, the risks become higher. As of today, America's allies can only wonder what steps President Obama will pursue. In two days time, he is due to make a speech in Saudi Arabia and it is widely suspected that this will be an olive branch to the Arab world. It certainly has the Israelis watching carefully especially after last month's not-so-successful visit to Washington by their new Prime Minister Binyamin Netanyahu. It would appear that he does not understand that North Korea has nothing but contempt for the United Nations and nothing would be gained by reestablishing direct diplomatic links. While US Defense Secretary Robert Gates stated last Saturday that "the North Korean nuclear program at this point" does not represent "a direct military threat to the United States," he may well have to change his mind in fairly short order, especially if the modified missile proved successful and has the promised long-range capability. Someone once described North Korea as a rogue regime run by a madman and there is no doubt that in a transitional period of rule, this bastion of Stalinism will use the usual propaganda trick employed by tyrannical states: presenting their country as under great threat from an external enemy. Intelligence reports indicate that they are gearing up for war and it would be prudent of the US to postpone the upcoming naval exercises with South Korea at least for a short time. The timing frankly stinks: President Obama will be too immersed in Middle East politics and, as usual, the initiative lies with the aggressor. (The aggressor in this instance is North Korea but you won't get the extreme left to agree with that proposition). It is a laughable delusion for the United States to think that it can get us to kneel with sanctions... We've been living under U.S. sanctions for decades, but have firmly safeguarded our ideology and system while moving our achievements forward. The U.S. sanctions policy toward North Korea is like striking a rock with a rotten egg. I have watched this famous island descending, incontinently, fecklessly, the stairway which leads to a dark gulf. It is a fine broad stairway at the beginning, but after a bit the carpet ends. A little farther on there are only flagstones, and a little farther on still, these break beneath your feet. It is surely time for the US to act decisively. No assistance can be expected from China or Russia. If the Joint Chiefs recommend against a strike on nuclear facilities, the fallback position must be to shoot down the missile without warning and then tell the North Koreans that any further firings or the export of missile or nuclear technology will be taken as an act of aggression against the United States. In the event of inaction or procrastination, the US will surely prove those carping critics who write about the end of America that their wildest dreams can come true. As an exercise a few days ago, I replayed JFK's inauguration speech. This will hardly endear me to Republicans and some Democrats but already his pledge to protect the Western Hemisphere from forces hostile to democracy has long been forgotten. I can't help feeling that if the US fails to act, Señor Presidente Hugo Chavez will take great heart, along with his new friends in Ecuador and older friends in Cuba and Nicaragua. As dangerous as North Korea is to the world, it is on the other side of the world from the US and America's allies will be first on the firing line. The truly grave danger to America, which should deeply concern President Obama even if Kim's antics don't, is the lessons that will be learned by America's enemies closer to home. "Si vis pacem, para bellum - if you want peace, prepare for war." We are doing just the opposite. Guys like Bolton will never get the respect they deserve from world committees. Not surprising, since Bolton has voiced opposition to the very concept of world committees. Your article, Mr. Marlowe, is well timed. According to the Washington Post, Kim Jing Il just today named his son, Kim Jung Un, to be his successor. The lad is 26 and is said to be a heavy drinker. I guess this answers a few of the minor questions in your article. @Patience very good quote! I would add, perhaps redundant but important to remember. If you want war, prepare for peace. The problem with international politics today is the overwhelming belief in liberalism*. Realism** on the other hand is what is important to understand when you are attempting to deal with an aggressor. The UN and all of the western powers however are deluded and believe that realism is passe and not applicable to modern times. 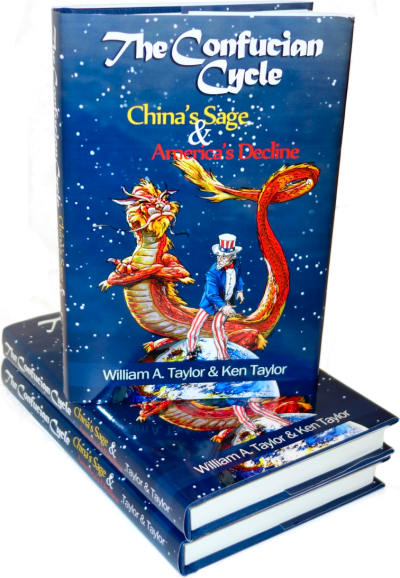 Perpetually giving in to aggressive nation-states will strengthen the image of the United States and the western world as a paper tiger. We no longer walk softly while carrying a big stick (a very realist way of thinking). Instead we walk loudly and as with the British police continually tell people to "Stop, or I'll say stop again!" *An international relations structure in no way related to American liberalism nor to classical liberalism. It is in essence various theories on why peace happens between different nations. **An international relations theory that attempts to explain why wars occur. Note: I would highly suggest doing some research on both liberalism and realism. I grossly over simplified both realism and liberalism. "lessons that will be learned by America's enemies closer to home"
Or the enemies AT home. I love John Bolton. He'd be a great president.